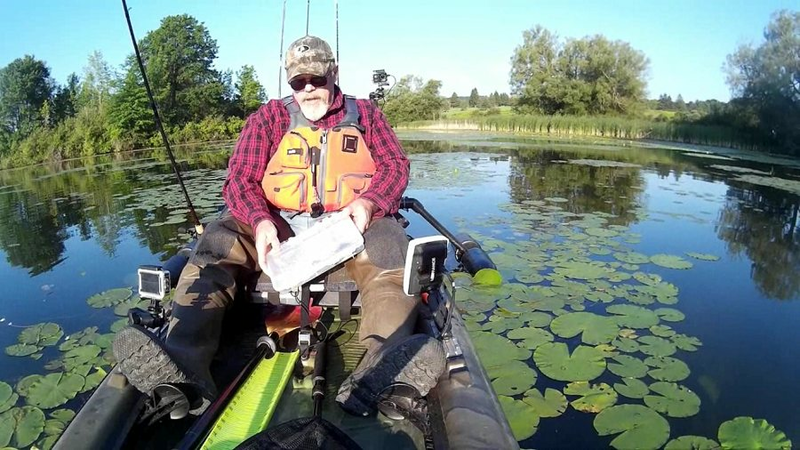 Has anybody built a seat for a kayak? I have a 2014 Hobe Mirage I bought that comes with a seat I don't particular care for. It's very low and not very rigid. 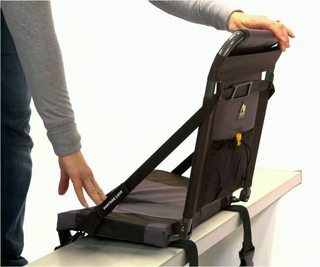 Would prefer an upright raised seat. 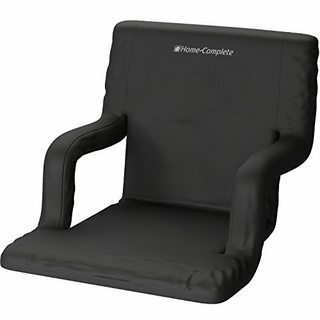 Was thinking I should be able to mount a padded stadium seat like one below to a schedule 80 3/4 inch PVC frame. Use a couple of velcro straps to hold it to the frame. 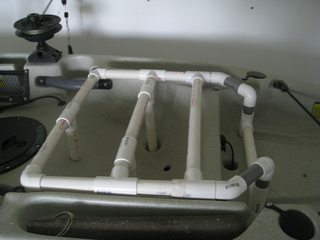 I have a couple of scupper holes I can keep the PVC in place with and some groves the PVC can sit on that would be perfect for a couple of 45 degree pieces behind the back to make it rigid. Just wondering if anyone has done this? 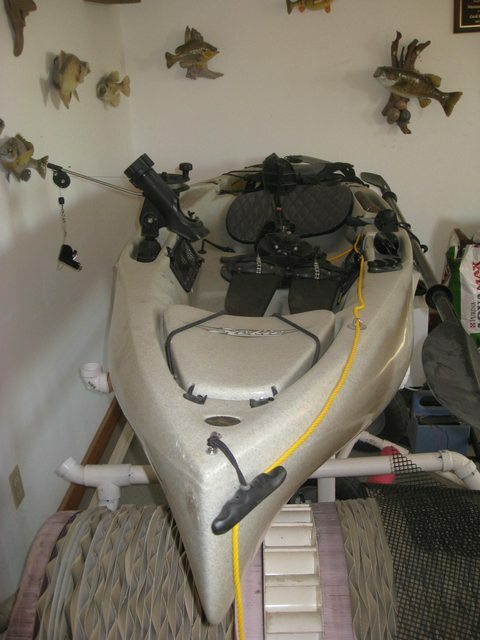 This is the kayak. 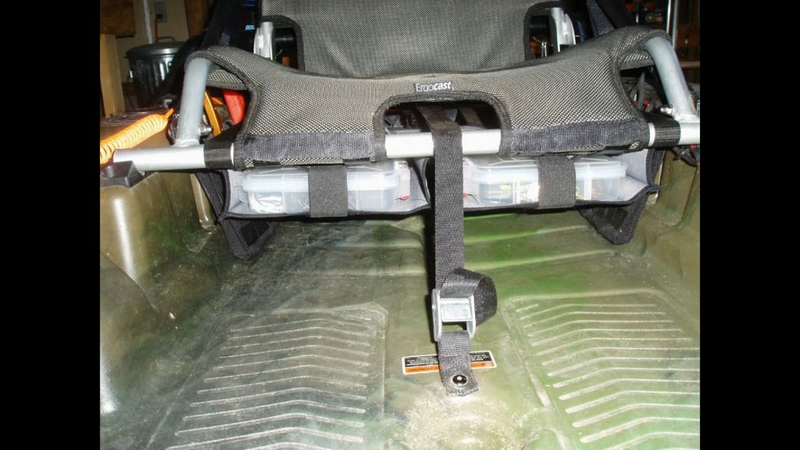 I've already mounted an anchor system, rod holder, mini downrigger, and fish finder holder and transducer to the kayak. 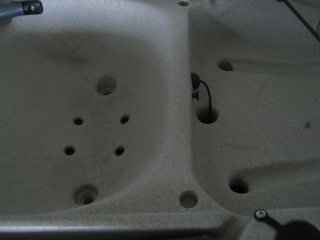 Re: Has anybody built a seat for a kayak? Found some great DIY Youtube videos on installing an upright seat. Will share my solution later if anyone is interested. I took all the seat out of my boat years ago. they were in the way when running to front to deploy the anchor or tie off to tree limbs. now im thinking about putting one in the back again. my back cant take it anymore. lol I don't know if I could even get out of a yak after a couple hours in it. not many active posters here anymore. was 4 days since a post in main board, until you started this thread. seems to be dying out. I think Facebook is killing forums. Lots of activity on Facebook and you can find just about any fishing group you want. Yeah I put a false floor in mine years ago. One place I screwed up is I mounted my back seat to close to the back. It's awkward running the motor. To. move it I need to remove the pedestal screws and they are hopelessly rusted. Will have to drill them out. Oh and I did have trouble getting out of my yak last summer. One reason I want to replace it with a seat that is higher up. Supposed to be easier to get out. I was uncomfortable but after a while but seemed to get used to it. I wouldn't know about that you could be rite. I stopped using if as have a lot of others. people are maybe starting to realize how destructive the internet can be. if they don't get control over these social media sites, they will have us brainwashed and we will turn into Venezuela. it is a leftwingdisease spreading like cancer. but it is way more toxic! Leftwing disease? Rightwing too! Extreme people on both sides of the spectrum! 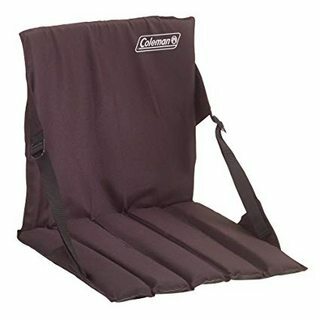 I have a Pelican Catch 120, I have plans of raising the seat 3-4 more inches. Down tubes from the old cross tubes and additional new cross tubes? Here's a good mod I found on Pinterest...that's the one I'll be doing. I couldn't focus in the shop today so I built the following 3/4 inch PVC easily installed and removable frame for a sit on seat for my 2015 Hobie Mirage kayak. There is no way in hell I will pay $500.00 for a sit on seat! Hobie makes some good products but not that good! Anyway here is the prototype frame with four legs fitting into scupper holes and one pushing against the bottom of the kayak cut at an angle, which I will add a rubber cap to the end. 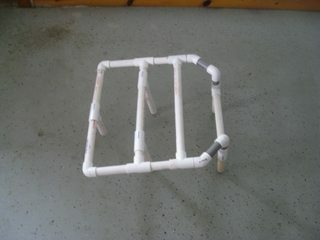 The sides rest on the hull and the legs make it very stable and weight bearing. Her's the original seat that pretty much just lays in the bottom of the kayak. Anyway, it's a prototype as I'll probably build the real deal with schedule 80 PVC that is stronger and blends in better with the grayish kayak. The seat above, that rests on the floor, that came with the kayak just doesn't cut it for me. And being that low it's a *itch getting in and out for a 61 year old! Here is the frame by itself. Easily slides in and out. Weighs 2 lbs. 10 oz. A here is the kayak without the frame installed where four of the legs go. 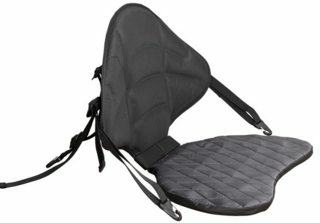 I plan on adding a stadium seat like this with velcro straps. Now to test the prototype as in how it affects the center of gravity, and reach to the pedals -- although the pedal reach is adjustable. This brings me up 8 inches vs. the floor with the other seat. I'm leaning toward this seat now to strap onto the frame. Under $40.00 on Ebay with free shipping. 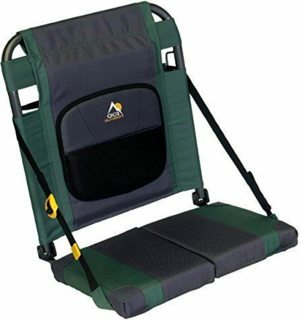 What I like is it comes with straps that I can run under the frame to secure the seat. May have to add a thin sheet of plywood zip tied to the frame though. Will see. Sure beats $500.00 for a seat from Hobie! I'm sorry folks but that's ridiculous.